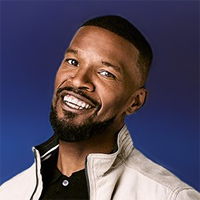 Throughout his career, Jamie Foxx has landed several hosting gigs, from the MTV Video Music Awards to the BET Awards just this past year. 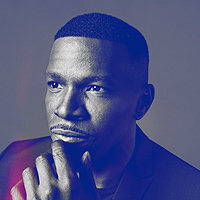 Now, the Oscar-winning actor, singer, comedian and digital talk show host has returned to hosting with the new web series Off Script, a Grey Goose production.The inaugural season just wrapped filming and the season finale, set to be released Thursday, features Foxx interviewing Denzel Washington. 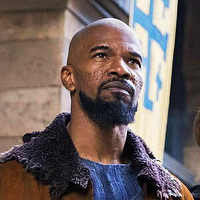 Other actors Foxx has interviewed this season include Benicio del Toro, Jeremy Renner, Sarah Silverman, Gabrielle Union, Chadwick Boseman, Melissa McCarthy, Vince Vaughn and Dwayne Johnson (the episode has already raked more than half-a-million views on YouTube since it premiered last Thursday). The series aims to highlight the most memorable and impactful moments that have shaped the actors. We collectively did it, but people like Denzel I’ve known for a few years and I’ve actually had personal encounters where he’s been to my home. Denzel is rare. Getting a “yes” from Denzel sort of solidifies what we’re trying to do. No disrespect toward anyone else, it’s just that we strive to have the best. Then to everyone else, we could always say, “We have Denzel,” which is great. When people come to the show, I let them hang loose and then I protect them. I cut it and make sure. What’s interesting about any of this now that we have social media and the press, almost everything we do could take a turn for whatever reason to get eyes or clicks. The meekness. Everybody that we have interviewed are juggernauts. These are some of the greatest actors and actresses in the world and they were all humble. Sometimes you work with someone and you’re like, “Uh, this is a little weird.” But maybe they don’t have certain things when it comes to their craft or maybe they’re coming in with attitude. When you work with the greats, there’s no need for it. It was refreshing. With Denzel, he was like, “I was nominated for an Oscar, but I don’t remember which movie.” How humble everyone was was great. The fact that he was a garbage man, I didn’t know that. The fact that he worked at some regular jobs. But, it was nothing that really surprised me other than the fact that he said that he was offered Seven and he didn’t take the Brad Pitt part. Other than that, you don’t really interview “D,” you sort of bask. You bask in everything he says and you watch people watching him. It’s a unicorn, if you will. He’s not online, he’s not on social media. 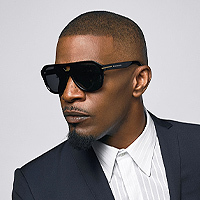 He dropped a lot of gems that validated how I feel. Because I’ve been telling everybody that I want to do social media more, but it’s like, what am I doing it for? Is it to get a message out or do something? I get leery of putting my craft out there. Six years ago, I flew to Phoenix to find this man and throw my hat in the ring. I had done all my research on Spawn. I know everything about the character and what he had done. He was taken aback. I said, “Whatever you decide to do, I wanna be first up.” And what I tried to do is stay artistically in shape. Of course, there’s the aesthetic sense of what Spawn is, but in the cerebral sense, in [McFarlane’s] script, Twitch [to be played by Jeremy Renner] is going through something. He prays to God, nothing happens. Should he pray to the devil? 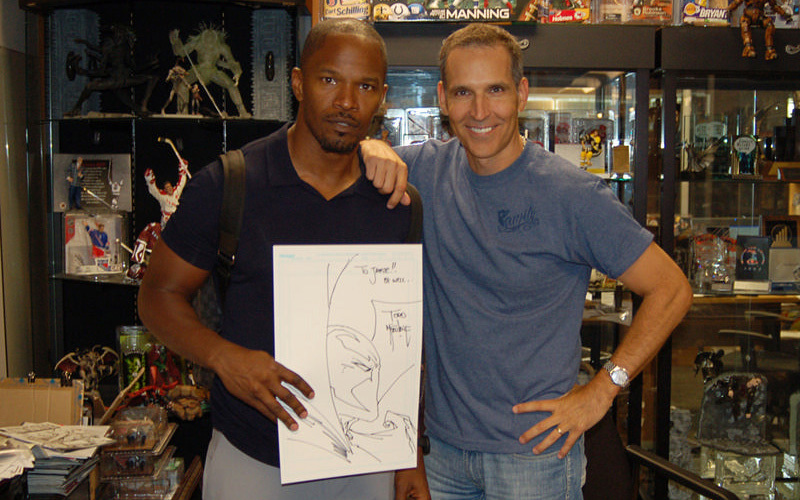 Spawn interjects himself into Twitch’s life and Twitch says, “Who are you?” I said that I want to stay artistically in shape so I can deliver the line or the feeling: “I’m both. I’m good and I’m evil. I was blessed by God, but I was raised by the devil.” When I explained that to him, those years back, luckily it stayed with him. Even when he was still met with the task of finding who it was, I said, “I challenge anyone out there not to make it competitive. I challenge anyone who was more ready. More ready to give everything. Because you can’t challenge someone as far as who’s the better actor. Because there’s always better actors, better actresses.” It’s what you bring. Things worked out. We’re not sure of the start date, but we’ve already started crafting things. Clay Fontenot, who was the stunt guy in the Iron Man suit, he’s crafting Spawn now. That’s the exciting part. When you see it, he’s gonna have his own identity. We have seen in Blumhouse’s recent horror films overarching social and political themes added to the narrative of the stories. Is this something we’ll see in Spawn? Even with bringing Donald Glover and Michael B. Jordan — and I hope I didn’t embarrass them too much — I felt like they were a little shy, but what I felt like was that I saw something that Donald Glover did this year in music that hadn’t been done in a long time. Something where you watch something happening and you just say, “Oh, my goodness!” Michael B. Jordan, I’ve known him since he was a little pup. Comes to my house all the time. I wanted to praise him, Ryan Coogler for their accomplishments. The highlight of the night however was Anita Baker’s tribute. That was great.